Trunk shows tomorrow and Saturday. Please click on events for details. Won’t mind being out of town this weekend. Yep – Coachella Fest. http://www.coachella.com/ For the first time since its inception, the weather is gonna be cool! Maybe (gasp) rain!! Don’t get too excited about the rain part. Rain in the desert is usually just enough to make a mess of the car. A gully washer around here is .25 inches. 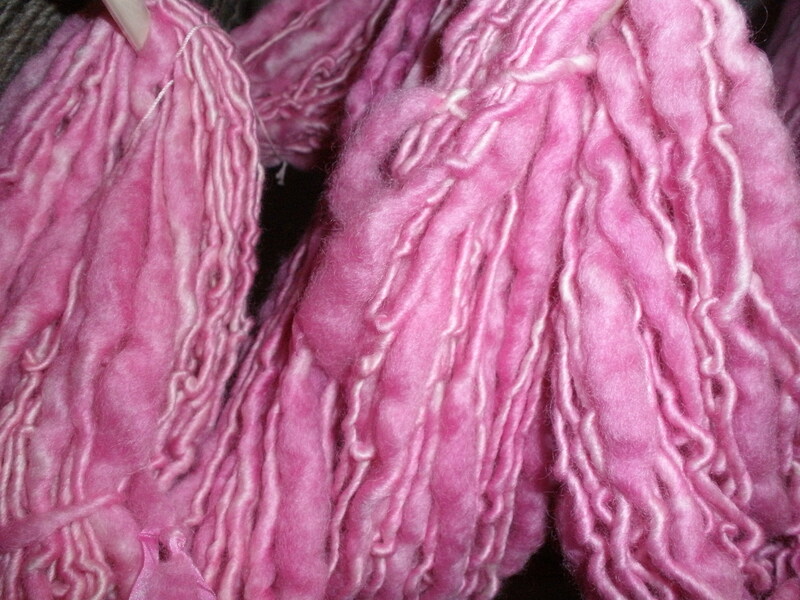 Have more wool for needle felting to package and label. Guess I’d better get on it. This entry was posted in Uncategorized and tagged BFL, Coachella Fest, hand spun yarn, trunk show, wool.